News - ICS Sp. z o. o. On November 17th, 2017, our employees from the CFD department took part in the Symkom Conference "Meeting of ANSYS software users", which took place in Warsaw. Please note that on 25-27.10.2017 ICS took part in the XIV International Conference on Boiler Technology ICBT, under the name 'Modernization of grate boilers. BAT conclusions and clean coal technologies for grate boilers'. We are pleased to announce that ICS on 10-13.10.2017 took part in the XXI Polish District Heating Forum in Międzyzdroje. During the conference, ICS discussed the “Analysis of the 18-month operation of the DeNOX Ecotube System installed on three grate boilers in Elektrociepłownia Megatem EC Lublin”. Investments were done by ICS in 2015. On 14-16.02.2017, ICS took part in the 6th 'System Heat Market' Conference organized by the Izba Gospodarcza Ciepłownictwo Polskie, Okręgowe Przedsiębiorstwo Energetyki Cieplnej Sp. z o.o. in Puławy and Lubelskie Przedsiębiorstwo Energetyki Cieplnej S.A. 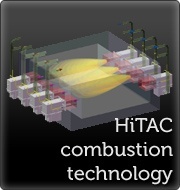 Publication of the final draft of BAT conclusions (Best Available Techniques) for large combustion plants (LCPs). The Joint Research Centre website published the final version of the Working BAT conclusions (version June 2016) for large combustion plants, which presents inter alia, the proposal of new emission limits which will apply to the majority of power plants in Poland. Published Final Draft is the basis for further work on the final version of the document. In addition, the website of the Ministry of the Environment is also included working translation of published draft. On 26-28th April 2016 in Zakopane it was held XXIII Spring Meeting of Heat, in which the ICS representatives presented a paper entitled "Implementation of the installation of flue gas deNOx Ecotube system as an example of a state-of-the-art and efficient emission reduction and optimization method of the combustion process in the boiler grate." More information about the symposium, you can also find on the organizer's website Kierunek Energetyka. Between days 17th and 18th of February 2016 during V Conference Market of Heat System held in Mercure hotel Lublin, ICS shown presentation entitled „Instalacja odazotowania spalin Ecotube w MEGATEM EC Lublin, jako przykład nowoczesnego i efektywnego ograniczenia emisji oraz optymalizacji procesu spalania w kotłach rusztowych”. During conference participants had also opportunity Visit Megatem Power plant and look at Ecotube System DeNOX installation at tree steam boilers delivered by ICS Sp. z o.o. Due to the presence of the ICS at the conference we also have the pleasure to present you the latest company brochure dedicated to the NOx and CO reduction systems and low-calorie gases combustion systems. The end of the 72 hour Site Acceptance Test of Ecotube System DeNOx installation installed on the stoker boiler No K5, type EKM50-Md at Megatem Heat & Power Plant in Lublin, Poland. We are pleased to announce that on 20th December 2015 the 72 hours test run and Site Acceptance Test of Ecotube System DeNOx installation was completed with a positive result. Ecotube System have been installed by ICS on the stoker boiler type EKM50-Md number K5 at Megatem Heat & Power Plant in Lublin, Poland to reduce emissions of nitrogen oxides (NOx). Trial operation confirmed the smooth and trouble-free operation of the equipment and installation of Ecotube System. In total ICS has supplied and commissioned three independent Ecotube Systems flue gas DeNOx system in Megatem and Heat & Power Lublin (Poland) Achieving reduction of NOx to value below 180 mg/Nm3. The end of the 72 hour Site Acceptance Test of Ecotube System DeNOx installation installed on the stoker boiler No K2, type EKM50-Md at Megatem Heat & Power Plant in Lublin, Poland. We are pleased to announce that on 26 November 2015 the 72 hours test run and Site Acceptance Test of Ecotube System DeNOx installation was completed with a positive result. Ecotube System have been installed by ICS on the stoker boiler type EKM50-Md number K2 at Megatem Heat & Power Plant in Lublin, Poland to reduce emissions of nitrogen oxides (NOx). Trial operation confirmed the smooth and trouble-free operation of the equipment and installation of Ecotube System. We are pleased to announce that the ICS company provided a dual fuel test burner for our Swedish partner company Cortus. The tests showed its high thermal efficiency (over 76%) and a very uniform temperature distribution on the surface of the radiation tube. Delivered to Cortus burner allows burning of the pyrolysis gas containing many tar and solid impurities and it will be indispensable alternative for pyrolysis and gasification of solid waste technologies developed by Cortus. On 26-28th October 2015 in Szczyrk it was held XIIIth Scientific and Technical Conference entitled "Modernization of stoker-fired boilers. Low-emission combustion in grate boilers" in the series of International Boilers Conferences Silesian University of Technology ICBT Poland (International Conference on Boiler Technology). During the conference, it was given a lecture by the Chairman of the Board of ICS Mr. Dariusz Szewczyk “Ecotube® Technologies - reduction of NOx emissions and optimizing the combustion process for boilers of small and medium power rate".